Leg Levelers are Cabinets Quick’s standard when it comes to toe kicks. Four Inch Leg Levelers are placed on the bottom of the cabinets, usually recessed about three inches. 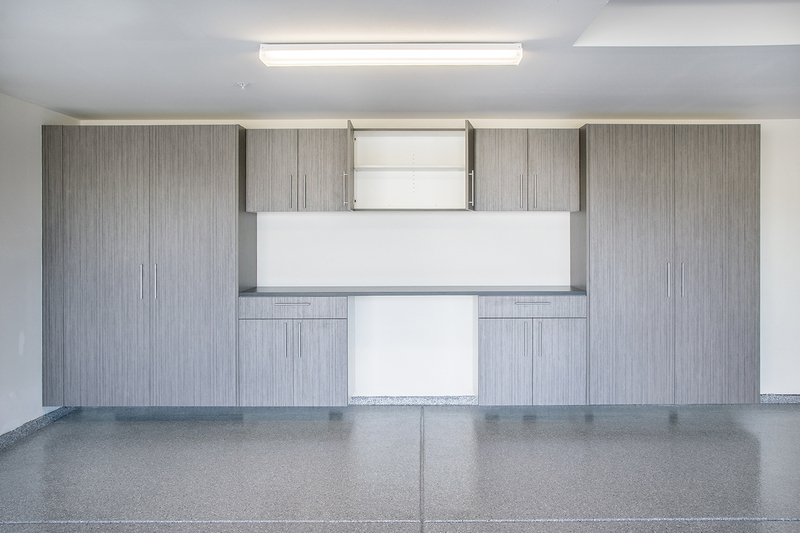 Strips of material (usually matching the door finish) is then placed in front of the levelers to create a seamless cabinet look. 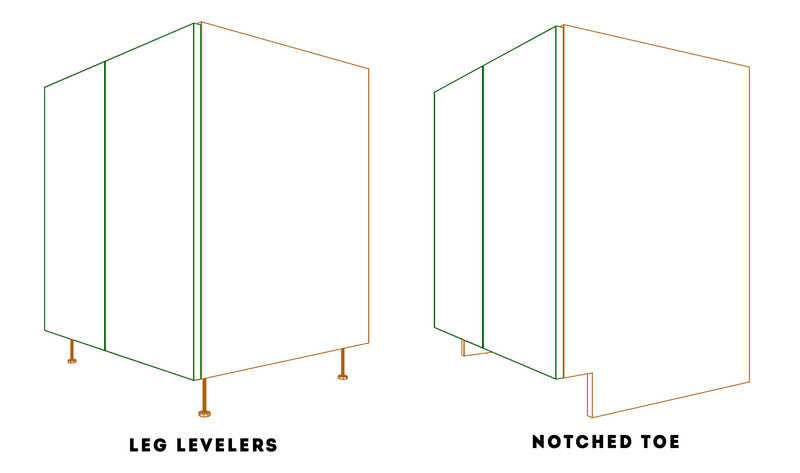 Leg levelers are able to adjust up and down to accommodate slight variations in floor height, allowing cabinets to perfectly (and easily) align with one another. Integrated (“Notched”) Toe KicksInstead of using leg levelers, some people like to incorporate the toe kick right into the cabinet. In this case, both ends of the cabinet go all the way to the ground and a small notch is made in the front. Strips of material are then placed along the recessed portion of the cabinet. Some believe integrated toe kicks offer extra stability to a cabinet, but it also creates additional work when trying to align multiple cabinets. Notched toe kicks aren’t adjustable like leg levelers and most widely used for commercial jobs. Most toe kicks are four inches high and recessed 3 inches, but both methods allow for customization. There are some situations where a higher toe kick is needed and some cabinets don’t need to be as deep. Next time you’re in the kitchen or the bathroom, take a look at your cabinets’ toe kick and see what’s been working for you!